Between vineyard and ocean, Bordeaux is the gateway to the South West and the epitome of the sweetness of life. A jewel of 18th architecture, the city has established itself as a prime destination for congresses & meetings. Cannelés, oysters, caviar... our specialties make Bordeaux a true symbol of the French way of life. Bordeaux is also the breeding ground for a trendy alternative culture that jostles and reinvents the 'Port of the Moon', the nickname comes from the shape that takes the river Garonne flowing through the city. Ambitious urban projects inspire architects & designers awakening the so-called 'sleeping beauty'. To the North, the Bassins à flot are bringing life back to the old docks. To the South, Bordeaux Euratlantique is becoming an economic heart of the city. It has attracted major companies' headquarters and complements our tech start-ups, industries and innovative research laboratories. Providing free unbiased advice, the Bordeaux Convention Bureau assists you with the planning of your professional event in the region: choice of venue, service providers and activities... we can prepare proposals according to your specifications, organise familiarisation trips and shortlisted venues. Your first point of contact for the destination, we will provide access to the best of Bordeaux, no matter the scope or nature of your event. 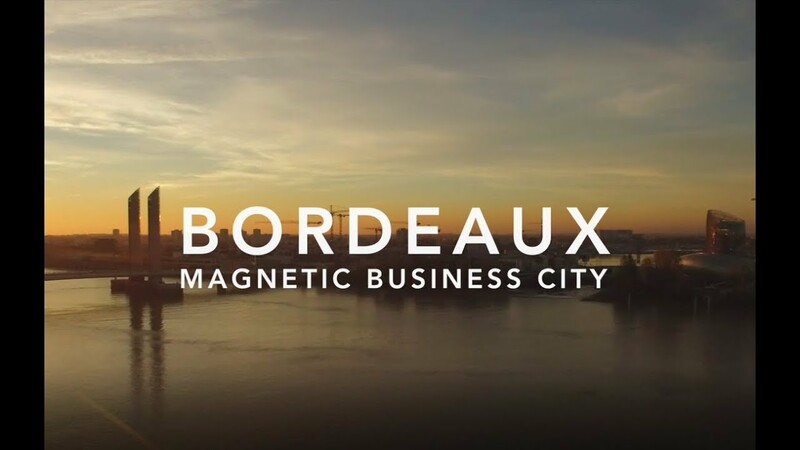 Bordeaux has 13 competitiveness clusters, an extensive aeronautics & space hub, a leading position in optics & lasers and strong expertise in nano & biotechnologies, cardiology, oncology, neurosciences, health ICT, wood and sustainable construction. With its 88,000 students and 11,600 researchers, Bordeaux also counts with one of 5 ‘IDEX’ universities in France, which receive government support to develop R&D & international links. Free movement for EU nationals. Please refer to france-visas.gouv.fr to check visa requirements depending on your nationality and the duration of your stay. Fast Track possible at airport for big events. A constantly evolving international airport with more than 90 direct destinations, 15 international hubs and seven million passengers per year. • By train, Paris-Bordeaux in 2 hours, 33 round trips per day • Five motorways to Paris, Rhône-Alpes, the Mediterranean, the Pyrenees and Iberian Peninsula • Three tram lines connected to all the convention centres, one new line between the airport and town opening in 2021. Bordeaux has the largest urban area classified by UNESCO with 347 monuments on 1,500 hectares, at close distance from its exceptional vineyards (7,000 wine properties), the ocean and the Arcachon Bay. Our 65 gastronomic treasures will delight your guests. Bordeaux Convention Bureau is collaborating with local DMCs and PCOs to help you create tailor-made events of all size. They are experts of the destination and can provide solutions in white label. Created in 2007, the Bordeaux Ambassadors Club now has more than 200 members. The ambassadors are recognised figures in academic, scientific, medical and economic organisations within the region. University professors, business executives, researchers and opinion leaders support Bordeaux as a conference destination, thereby promoting the city's attractiveness and reputation in France and abroad.